Posted on January 24, 2019 at 9:59 am. Pokies players can make a killing on Free Spin Thursdays at Wild Casino. All you have to do is log in any time on Thursday and play select online pokies games to earn bonus spins. For every 10 bets of $3 or more on Reels of Wealth, Sugar Pop 2, or Tiger’s Claw, the house will give you one free spin on Ogre Empire. Free spins are awarded instantly and can be triggered up to 100 times a day. – To qualify the player is required to play any of the following games, “Reels of Wealth”, “Tiger’s Claw” and “Sugar Pop 2” on Thursdays between 12:01 am (ET) and 11:59 pm (ET). – To be eligible for a free-spin the player needs to play 10 spins with a minimum bet of $3.00 per spin on any of the specified slot games. – A maximum of 100 free spins per player can be awarded. – The free spins will be automatically awarded to the player and will expire 48 hours from the time that they are awarded if not used. 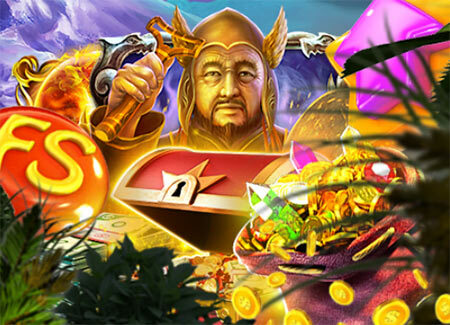 – The free spins can be played on “Ogre Empire”. – There is no rollover or play through applicable to money won with the free spins. – The free spins cannot be exchanged for cash. – Management reserves the right to have the final say in case of dispute. – Management reserves the right to modify or discontinue this promotion at their discretion. Find out more at WildCasino.com, where new members can score up to $5000 bonus cash upon joining and making a deposit.